Adorable polka dot napkins in a delicate colour palette of light blues, purples, oranges and pinks. A pretty addition to your celebration table. 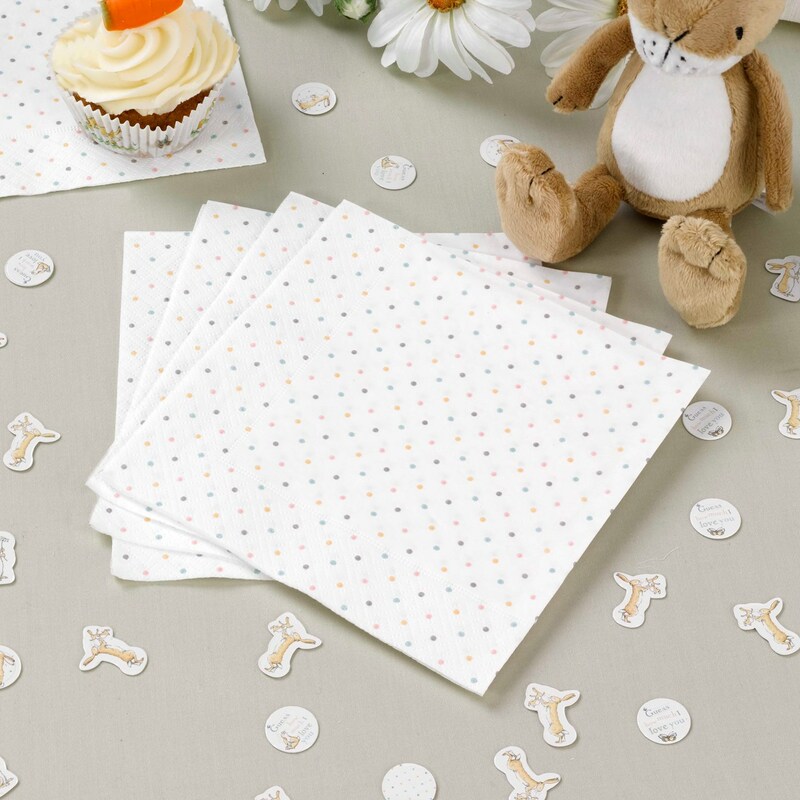 Perfect for your baby shower, Christening or first birthday celebration, these high-quality napkins offer an easy way to add a pop of colour to your catering. Each pack contains 16 Paper Napkins.